Our non-dairy sorbet base provides the foundation of a frozen dessert that bursts with flavor. Our non-dairy frozen sorbet base is concentrated and versatile, making the product truly unique. You will not find another product like it on the market. If you have an ice cream or gelato shop, or serve frozen desserts from ice cream dipping cabinets or soft serve machines, you’ll find our sorbet the perfect complement for your growing dessert selection. And, your customers will appreciate this flavorful, non-fat, non-dairy option! 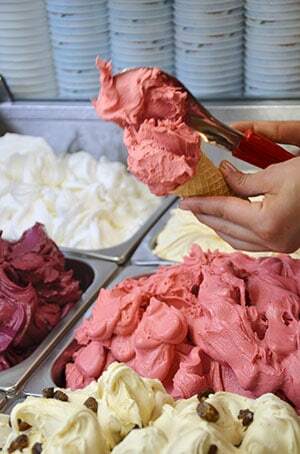 Traditional sorbet, sometimes also referred to as Italian sorbetto, is made with fresh fruits and contains no dairy and no fat. This does not detract from its taste or the mouth-feel of a creamy dairy dessert. Products made with our sorbet base boast a smooth, rich texture. You will have the satisfaction of providing your customers with a light, refreshing nonfat frozen dessert that appeals to people looking for full flavor. Why choose Classic Mix sorbet base? 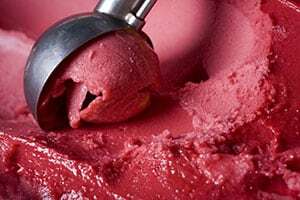 Our sorbet base has been formulated to provide the texture and mouth feel that previously were only available in the finest gelato and ice cream shops in Europe. This concentrated base includes stabilizers and emulsifiers – all you need to do is add your favorite fruit or flavoring with water to create a creamy, refreshing non-dairy treat. The base also is versatile enough to add yogurt or other dairy ingredients to the base to create your own frozen yogurt or sherbet. We pride ourselves in offering our customers the highest quality products with convenient packaging. The product is stable up to one year at refrigerated temperatures. Our sorbet base is packaged in two 2.5-gallon resealable bags in a recyclable corrugated box. 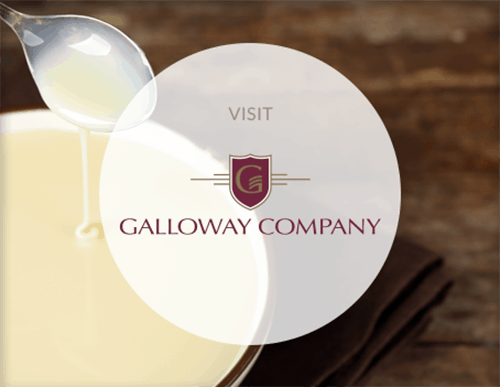 Our sorbet base is available nationwide through custom distribution. Our product is available only for commercial sale and use. If you are looking for a non-fat or dairy free dessert option or want to try the versatility of our sorbet base, call 800.722.8903. 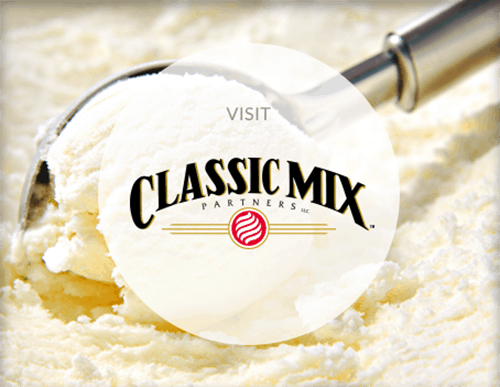 Contact Classic Mix Partners Today!